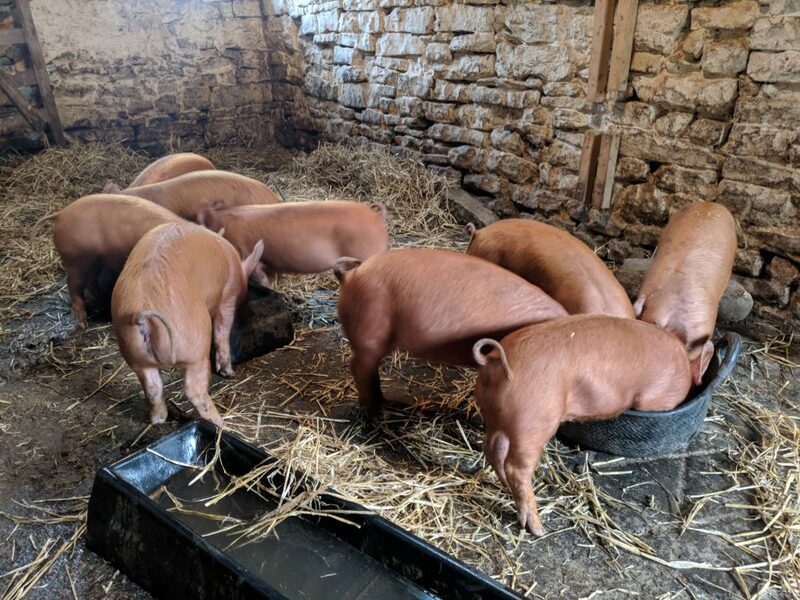 About a week ago we brought Esther and her litter of 9 piglets into the pig shed to start the weaning process and in preparation for collection. At this stage they were just over 7 weeks old and had been on hard feed for a while so it was a good time to start. This can sometimes be a tricky procedure once they’ve had a taste of life outdoors in the woods but this litter seem to be better behaved than some of our previous ones. 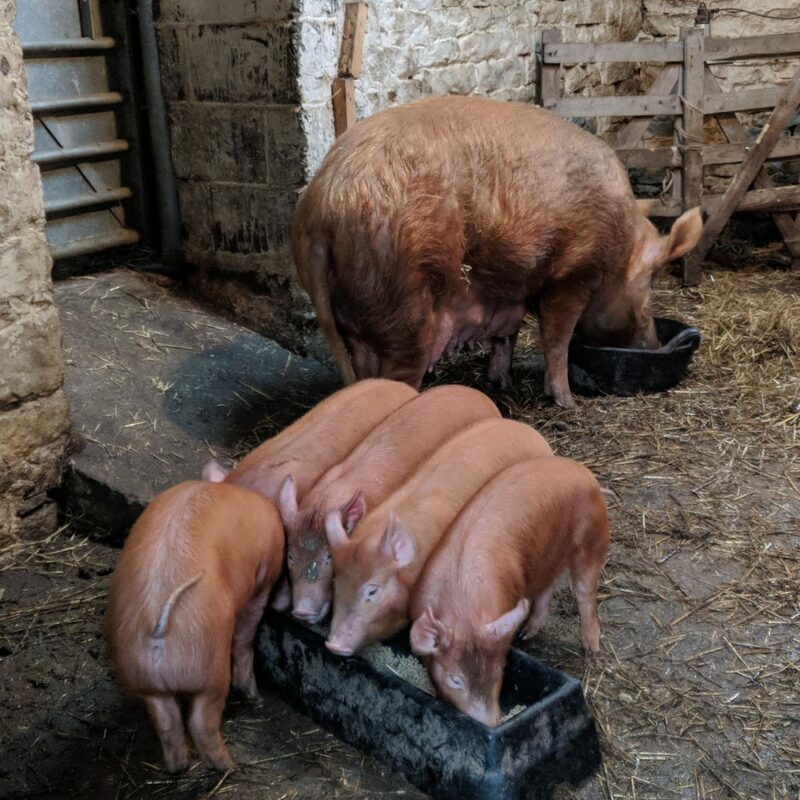 The initial batch of 4 piglets were collected first which left 5 piglets in the pig shed and therefore a bit more room at the trough for mealtimes. It can be very crowded around feed troughs with 9 mouths to feed even if we split the food between two troughs. The remaining 3 weaners that we had sold were picked up a couple of days later and that left us with 2 to raise for pork ourselves. This was pretty much as we’d hoped before Esther had farrowed but you can never be sure in advance exactly how much interest there will be in weaners. 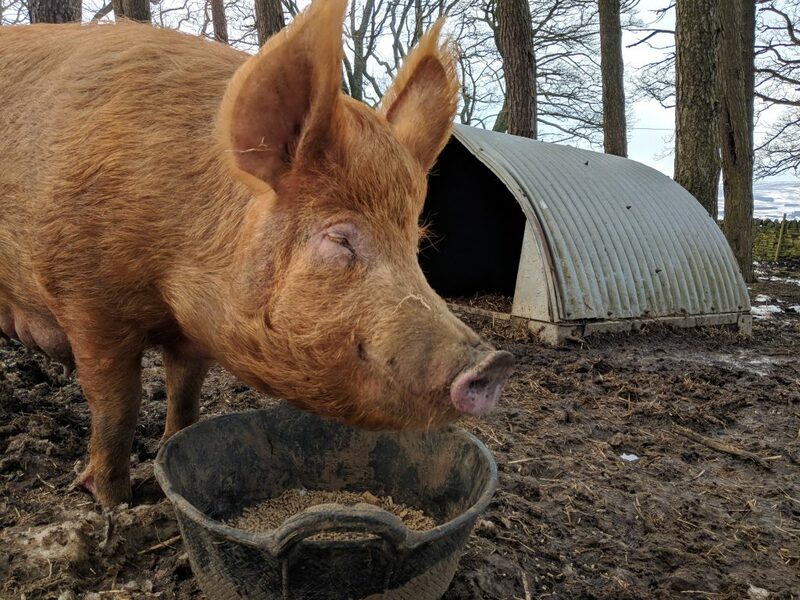 Esther and the remaining 2 that we’re keeping as meat pigs could then be moved back to the woods. 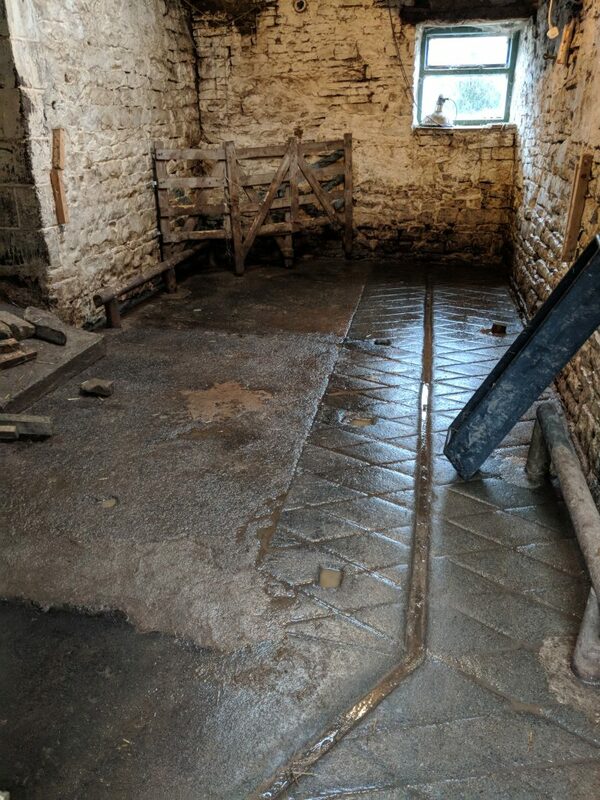 This was very much appreciated by everyone because it means we don’t have to muck out the pig shed and they prefer live outside anyway. They are all looking very well Richard.